Here at the HomeOwners Alliance we campaign to get homeowners and aspiring homeowners a better deal. One obvious part of the system in need of reform is the home buying and selling process. We want to end the uncertainty, reduce wasted costs, and ensure fewer transactions fail. If there is one thing that everyone agrees on in the housing industry, it is that the home buying and selling process – at least in England and Wales – is not fit for purpose. Gazundering, gazumping, collapsing chains, and one in three sales falling through. It takes too long, is too uncertain, too open to abuse by unscrupulous operators, and too often homebuyers can end up paying huge costs without having even bought somewhere to live. Even when the purchase does go through, it is unnecessarily nerve wracking. This is on top of the problems caused by the lack of regulation of estate agents. Over the years, the government has tinkered with reforms, but these have either failed or made little difference. If you want help and advice in buying or selling your home, become a member of the HomeOwners Alliance. Helping homeowners – it’s what we do! A routine part of our work is helping homeowners navigate through the system, and helping members when things go wrong. We have regularly highlighted the problems with the regime in media, and promoted reforms to government officials and ministers. One reason why reforms have made little difference is that the problem is often misunderstood. Although the process does take too long, that is not the primary cause of the problems. The primary cause is the uncertainty caused by the fact that homebuyers and sellers enter into agreement, and start spending thousands of pounds, with absolutely no legal obligation of any sort on either side. Homebuyers and sellers can pull out of an agreement for bad reasons or no reasons, and too often do. This makes chains of home sales particularly precarious, because it only requires one transaction to fall through. The HomeOwners Alliance is calling for the government to bring more certainty into the process by introducing a standardised and legally binding “reservation agreement”, where at the point of agreeing the price – but before either side spends any money – the home buyer and seller commit to being “genuine” to proceed with the transaction, and to pay the other side £1000 if they pull out, to pay towards their costs. What we propose takes the best of other systems, in particular Scotland and the Netherlands. And this is similar to the successful reservation system used by homebuilders, where buyers have to post a £1000 deposit when putting their name down for a property to show they are genuine. The reservation agreement would be exchanged between conveyancers, and would require buyers and sellers to be more “transaction ready” before they enter the market than they are at the moment. When a price is informally agreed in the negotiations conducted by the estate agent, the homebuyers and sellers formally agree the offer through a standardised “reservation agreement” between their solicitors, where they commit to being “genuine” sellers or buyers, and agree to pay the other side £1000 if they pull out. Each side must deposit £1000 as a bond with their conveyancer, which will be refunded (or go towards other costs) unless they pull out of the sale. Crucially this is done before either side starts spending any money, and can be done within hours of the price being agreed via the estate agent. With the reservation agreement signed, the two sides then proceed to exchange of contracts, and start spending money doing searches, surveys, mortgage arrangement fees etc. (as now), and then proceed to completion (as now). The reservation agreement needs to be short and standardised, so that its contents are not made more complex and subject to negotiation between solicitors. Both sides agree to pay the other side £1000 if they pull out of the transaction for any reason. If you decide to pull out of a transaction (even if it is no fault of your own), it is fair enough that you know you will pay the costs associated with that. Another variation is that each side just compensates the other for direct costs actually incurred, but this is more bureaucratic and will require proof of expenditure etc, and will be less fair to those who have suffered stress and lost opportunity from a failed sale, but have not yet incurred any costs (eg sellers at the end of a chain). Those caught in the middle of a chain that collapses will both pay and be paid £1000, and so will not lose out – only those that cause the collapse of the chain will have to pay (and will pay £2000 if they are both buying and selling and pull out of both transactions at the same time). This new system will make chains far more stable, as an increase in commitment in each link of a chain makes the probability of collapse much less. There would need to be a backstop date for completion of the purchase, say three months after the reservation letter. If both sides want to continue with the transaction, they can agree to extend the deadline, but if one side has failed to meet their requirements (eg not arranged a mortgage), then they will be deemed to have pulled out, and have to pay the other side £1000. Both sides pay their conveyancer/solicitor a repayable £1000 bond to cover the payment if they do pull out. Interpretation should be covered by standard industry guidance, or failing agreement between the conveyancers, by the property ombudsman or then small claims court. If either side is worried about being able to afford the £1000, they can take out homebuyers/sellers insurance. Before the reservation agreement, the homeowner will have to have proof of funds such as a mortgage in principle. This is good practice – and indeed estate agents are obliged to find out this information and pass it onto the seller as stated in their code of practice. It is irresponsible to agree to buy a house without the money in place to do it – and there is no reason they cannot do this before they make an offer to estate agent. In the reservation agreement, the buyer’s solicitor will confirm to the seller’s solicitor that the buyer has sufficient funds. Sellers will have to fill out TA6 (the standard property information form which includes all material information such as length of lease and ground rent, if leasehold) before the reservation agreement. Again, this is simply good practice, and there is no reason they cannot do this before putting their house on the market (and the estate agent can provide it to the buyer), and the estate agent can then provide those details to the seller before they make an offer. If any previously undeclared material issues emerge during the surveys and searches that potentially affect the value of the property by more than 1%, then either side has the right to renegotiate the price to reflect the impact of the matter that has emerged. If they can’t agree a change of price, then the side that is detrimentally impacted by the new information (invariably the buyer) will have the right to pull out without losing their £1000 bond. This will provide a powerful incentive for the seller to disclose all material issues during the sales negotiations. If either side pulls out over matters that are financially less than 1% of the value of the property (eg over whether a cooker is included) they will be liable to pay the other side £1000. If either side breaches their commitment to being a “genuine” seller or buyer – (eg by putting the property back on the market, accepting a higher offer from another buyer, or the buyer putting in a lower offer after the sale price has been agreed) – then they will be deemed to have pulled out of the transaction, and are liable to pay the other side the £1000. Signing the reservation agreement should be minimal work for the conveyancer, and they should include the cost of it in their normal conveyancing fee paid at the end of the process. 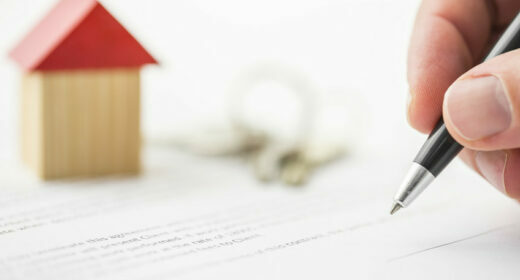 The fact that both sides will have to be “transaction ready” before they agree a price – establishing proof of funds, arranging a mortgage in principle, appointing a conveyancer, completing a property information sheet TA6, putting up £1000 – then the transaction after the sale is agreed should be a lot quicker. Consumer Protection from Unfair Trading Regulations 2008 require estate agents to disclose information about a property that is accurate and not misleading. As stated in the Property Ombudsman Code of Practice (7k), with leasehold properties this should include service charges, ground rent, length of years remaining on the lease and any known conditions. See section 10a of the Property Ombudsman Code of Practice for Residential Estate Agents.